Researchers at Harvard University’s Wyss Institute and Harvard’s Personal Genome Project (PGP) are partnering with Luminosity to better understand the relationship between memory and DNA. The goal of the study is to identify genetic factors that can help in developing treatment for neurodegenerative diseases such as Alzheimer’s disease, by identifying individuals having exceptional memory, attention, and reaction speed. Yingleong Chan, PhD, postdoctoral fellow of George Church’s lab at Harvard Medical School, has reached out to the American Go Association to find go players who are interested in participating in being participants of the PGP and participating in this PGP-Lumositygenomics research study. Participants will be asked to complete six games aimed at evaluating memory, attention, and reaction speed. Participant test scores will then be grouped to identify exceptional performers. People that perform well on the games will have the opportunity to identify their genome sequence in order to construct experimental models to form new hypotheses related to the characteristics of neurodegenerative disorders. Through this study, the PGP hopes to better understand efficient memory functions in order to further research Alzheimer’s disease and other neurodegenerative disorders. Click here for more information, including instructions on how to enroll in the study. What if a set of go equipment cost $2500? That’s the situation Cuban go players face today. The Cuban peso is worth about $.04, and no local game stores sell go equipment in Cuba, so to purchase a $100 go set on the Internet would cost 2500 pesos – when the average monthly income in Cuba is 750 pesos. In addition, shipments weighing over 1.5 kilograms require a surcharge of $10 US or 250 pesos per kilo. 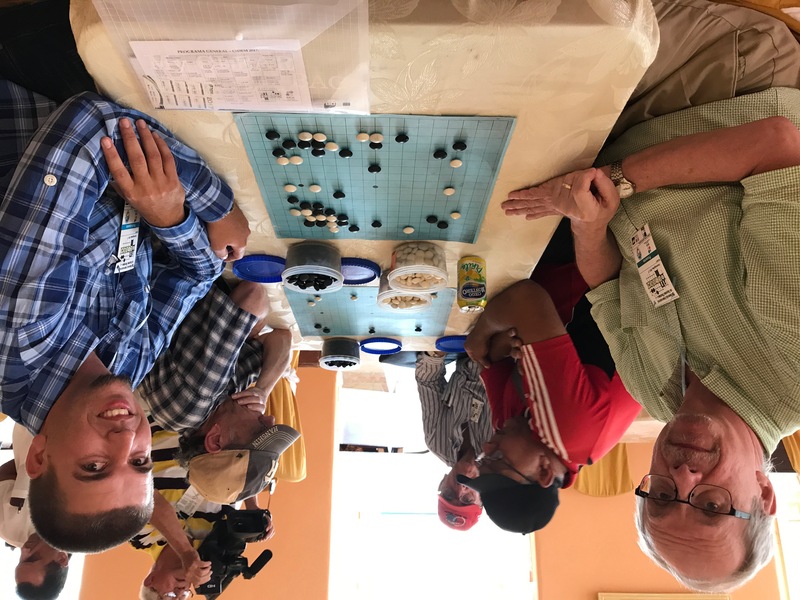 Cuban Go Association president Rafael Torres estimates that there are as many as 2000 go players in Cuba, mostly playing on homemade sets or donations from abroad. 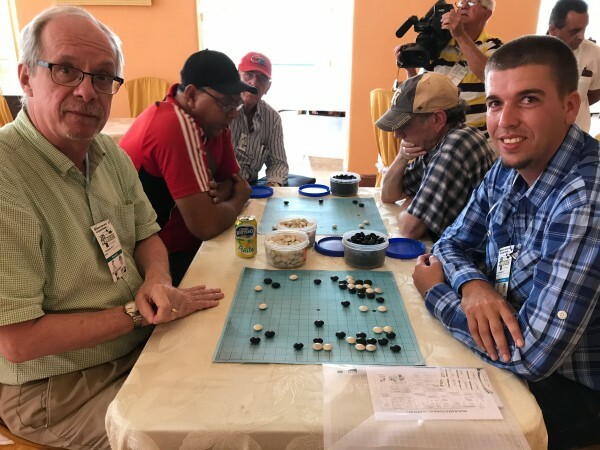 Scarce equipment is the main thing holding back the Cuban go community, he said. In response, The American Go Foundation has established the AGF Cuban Go Development Fund, kicking it off by arranging to send small shipments of equipment to Havana and Camaguey, the two main Cuban go communities at present. Each site will receive ten “Club Classic” full size go sets from The AGF Store. 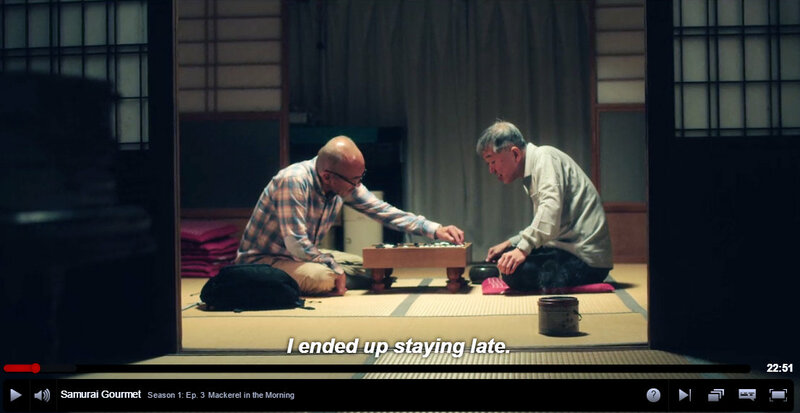 In addition, Slate and Shell has generously agreed to kick in ten each each per site of their two Spanish language books, Como NO Jugar al Go by Yuan Zhou and Sube a Shodan by Rin Kaiho. “Helping the Cuban go playing community to grow is good for the US too,” said AGF president Terry Benson. “As our nearby neighbors develop, we can look forward to stronger international ties, more cultural exchange, and lots of friendly time over the go board.” Click here to contribute to the Cuban Go Development Fund, then click on “Send special instructions to the seller and type “Cuban Go.” Tax deductible earmarked contributions to the fund are welcome, and will be applied to an equipment drive planned for later this year. In Samurai Gourmet ‘s ‘Mackerel in the morning’ (Season 1, Episode 3, available on Netflix), recently retired Takeshi Kosumi stays up late playing go with his friend and misses his train home in this charming new gastronomic exploration of a newly liberated corporate man exploring his freedom with a little help from a masterless samurai. Thanks to Michael Kyriakakis and David Bogie for sending this in.